“Be assured that my wife and I shall individually send a small gift for the purpose,” wrote Dr. Thomas Gwaltney, in an email response to Faye Snodgress, Executive Director, after her note to members about our unique opportunity to make a big difference in Nigeria. As part of the celebration of KDP’s 50th Biennial Convocation, we are raising funds for our members in Nigeria, eight of whom will be joining us in Orlando. They have identified the neediest schools in the country and, within those schools, the most urgently needed supplies and equipment. Every dollar received will directly support the needs of educators and students in Nigeria. It is heart-breaking to see basic challenges get in the way of education in Nigeria. Every day, teachers and students are faced with difficult conditions of overcrowded classrooms, inadequate facilities, and insufficient equipment. 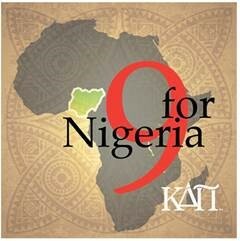 Consider a gift of $9 for Nigeria. Give teachers and students the tools they need to succeed in the classroom. $9 can provide pens/pencils for one classroom. $19 can provide one student with a classroom chair to sit in. $49 can provide one student with a table/desk to work from in their classroom. Read more about what your gift can provide. Won’t you join Dr. Gwaltney and his family in making a gift? Be sure to select the Nigerian fund when making your donation today. Dr. Thomas Gwaltney was the Chapter Counselor at Eastern Michigan University for nearly 20 years.